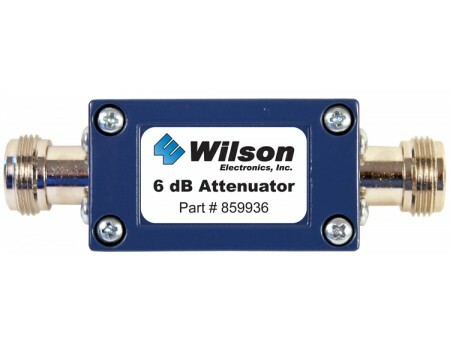 The Wilson 859936 6 dB Attenuator is used to reduce the power of the signal running through a cable. 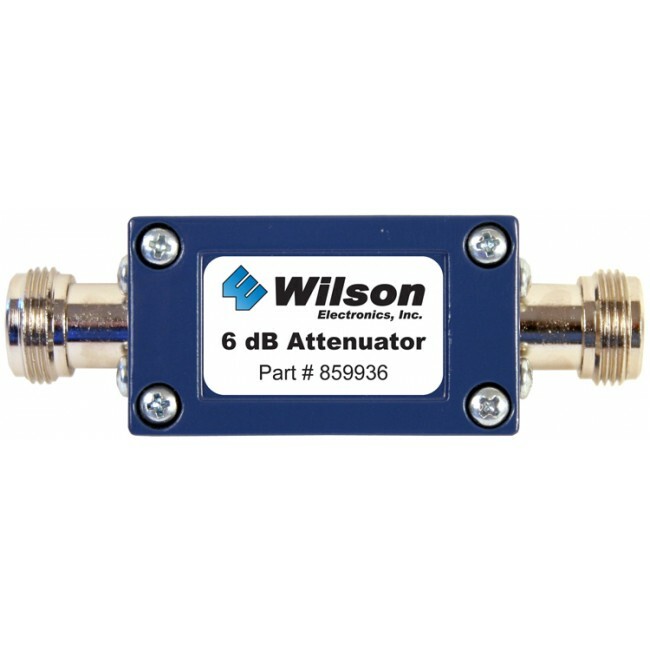 The Wilson 859936 6 dB Attenuator is used to reduce the power of the signal running through a cable. Attenuators are typically used with amplifiers that do not feature adjustable gain controls. This 6 dB attenuator reduces the signal to 1 quarter of the input signal. It has two N-Female connectors.